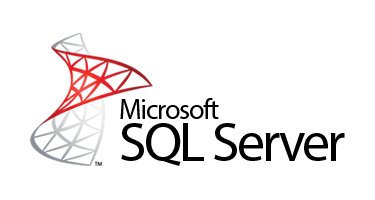 In this article I am going to explain how to change the state (Read only to Read Write and vice versa) of Sql server database. While working on window form application, I have face the issue of read only database on data insert. To resolve this issue we have 2 ways. One using Sql server management studio and 2nd one using Sql query. Here in this article I am going to explain how to implement infinite scroll using Jquery in asp.net MVC application. I am showing list of country in application. Instead of pagination want to show all records on scroll. To fulfill this requirement I am using Jquery. Add an empty controller to project. Here in this tutorial I am going to explain how to create hello world application with Angular 6. You can download the latest version of Visual studio code from here and Node.js from here. Node.js installation will also install the npm. After installation start the visual studio code. If you see the message of Git is missing then you have to install the git to your system. You can download latest version here or in visual studio code there is link in message to download git, when you click on the link it will redirect you to download link. Here in this article I am going to explain how to generate numeric and alphanumeric OTP (one time password) in MVC application. I want to generate OTP. OTP can be numeric or alphanumeric and it is used widely to validate the user’s information such as mobile number, in banks for transaction etc. Add an empty controller to project. Create 3 action to generate OTP, one to generate numeric and 2nd one alphanumeric. In this article I am going to explain how to generate random password in MVC application. I want to generate strong random password for users when they registers to website. Here in this article I am going to generate password using 2 ways. Add an empty controller to project. I have create action Generatepassword. In this article I am going to explain how to display data in 2 or more columns in MVC application. I want to display data in 3 columns. To display data 2 or more columns we have 2 approaches. One use the Bootstarp, if use the bootstrap it adjust itself. 2nd one using the loop, run the loop and differentiate them like odd and even. For 2nd one check this article. In this article I am going to explain how to generate random OTP (one time password) in asp.net MVC application. In this article I am going to explain how to show data in 2 columns in MVC application. I am displaying list of all countries in MVC application one record per row but I want to display data in 2 columns. 2 records pre row. In this article I am going to explain how to crop image using Iedit Jquery and save to folder in MVC application. In this article I am going to explain how to convert Image to Base64 string and Base64 string to Image in asp.net MVC application. In MVC application want to convert Image to Base64 and Base64 encoded string to Image. Add empty controller to project. Create method to convert Image and Base64 encoded string. In this artic article I am going to explain how to display username of logged in users in MVC application. In MVC project I have created login form. After successfully logged in, want to show users name on top right hand side. I am using Tempdata to maintain the user’s detail. In this artic article I am going to explain how to create login form and maintain authenticated user’s detail in MVC application. I want to create login form and maintain the authenticated user’s detail in application. I am using Tempdata to maintain the user’s detail.